Our daily lives are busy and with so many things to juggle and do, it is no wonder that humans get out of balance. With this meditation the fundamental building blocks of humans and indeed all creation are balanced using the principles of Earth, Water, Air and Fire. These correspond to our physical bodies, our emotions, our thoughts and our mind, when we are balanced in these areas we are in alignment with our Spirit. Thereby living more purposefully and with a renewed sense of focus. 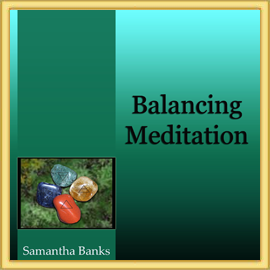 Using this meditation daily will assist the listener to be in a flow with life, balanced and tranquil.